Standard 2.0 After first taking a look at the larger E5510, we now review the 14-incher E5410 with identical internals. Find out in the following review how it differs from its bigger brother. According to the manufacturer, the Latitude family was developed for mid-sized to large companies and should offer "first-class performance, robustness and design with IT-friendly management solutions2. 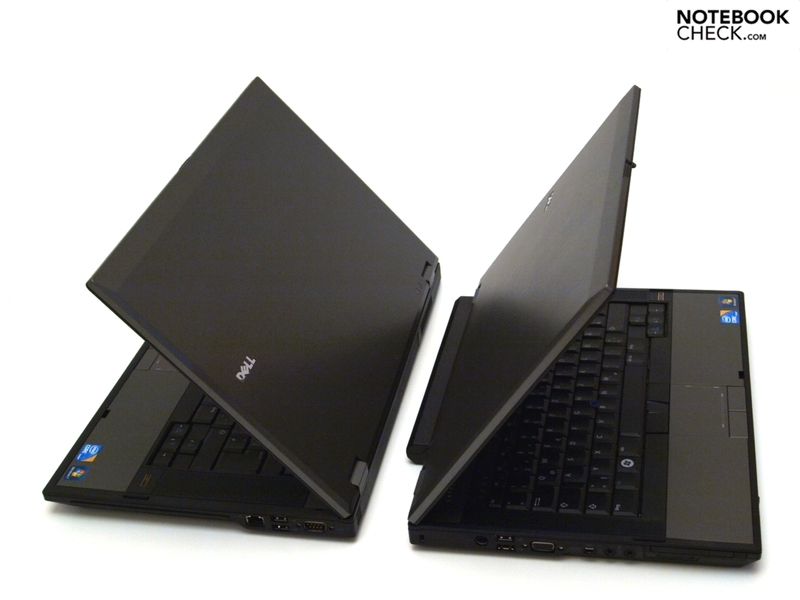 After first reviewing the 15.6" E5510 , we are now taking a look at the E5410 which along with the 13 is placed within the "Standard" category. 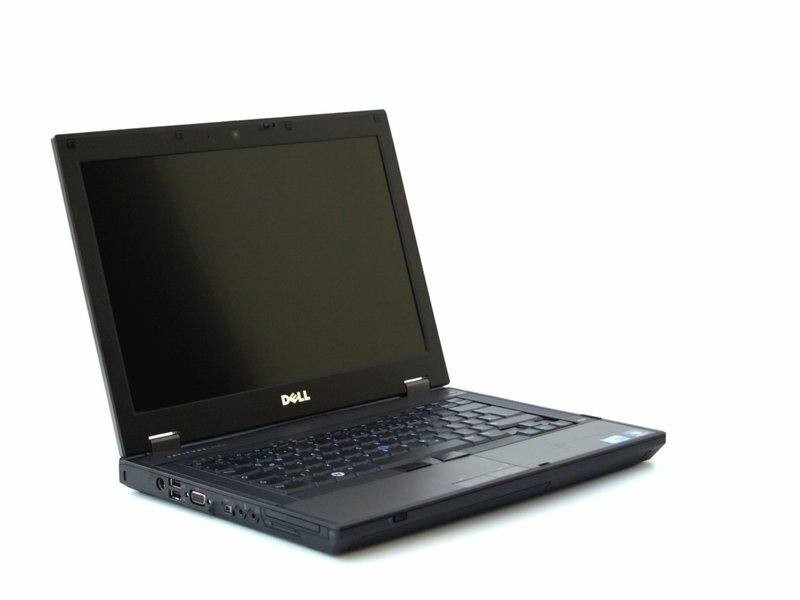 In addition to the somewhat higher-end and so-called "mainstream" E6410 and E6510 notebooks, the Latitude family also comprises ultra-mobile small devices between 10.1 and 13.3”. Both E5x10 devices are offered in the same price-class and the E410 is even available starting at 599,- Euros excluding VAT and shipping. 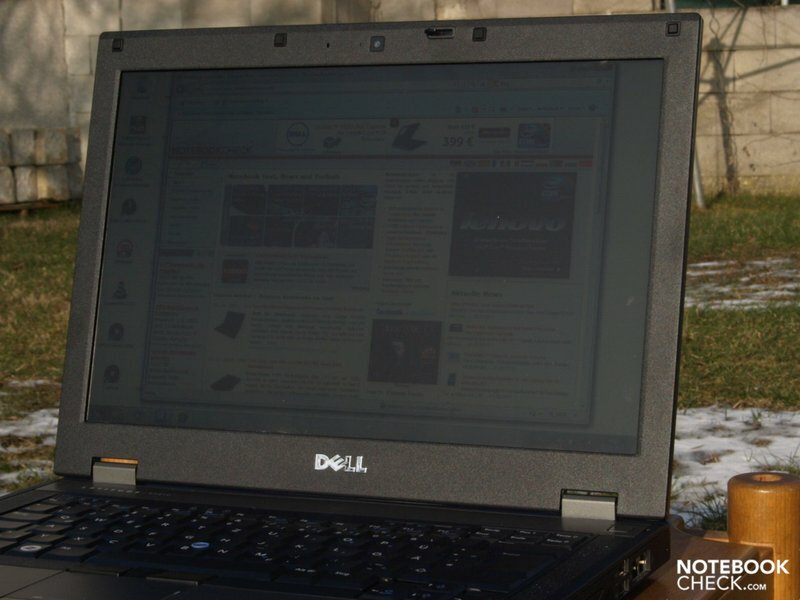 It, however, is only equipped with a Core i3 CPU, only two gigabytes of memory, a WXGA (1280x800 pixels) display and a slower and smaller harddrive. Our tester on the other hand offers a dual-core Core i7 640M processor from the Arrandale series, four gigabytes of main memory, a WXGA+(1440x900 pixels) and a faster 7200 rpm harddrive with 320 GB of capacity. Note: Sections relating specifically to the built-in hardware, namely performance, emissions and battery life, do not necessarily apply to other models. 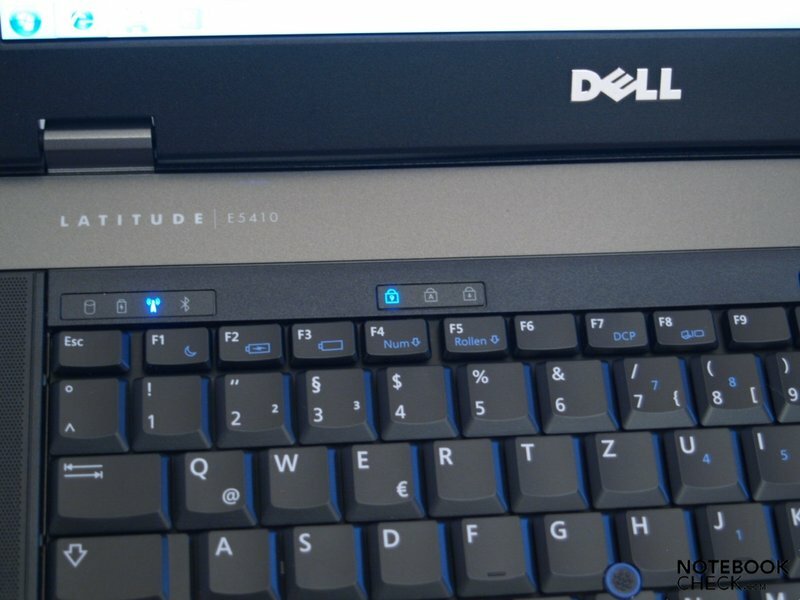 In the meantime, Dell has already presented the new Latitude generation, which we were able to feature in depth in this articleIntel Core i7 640M Notebook Prozessor. Extensive tests relating to that will follow as soon as the laptops are available. 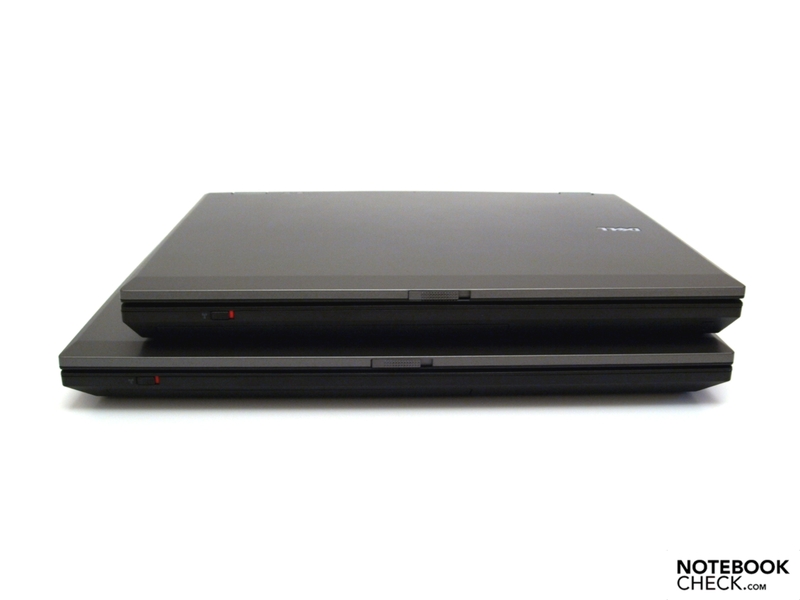 Apart from its size, the externals of the E5410 hardly differ from the E5510 which means that we can refer you to this review. The base unit, however, proves itself to be more stable under pressure than on the 15-incher. For transport security, only a single hook is used on the smaller E5410. Otherwise, the same points apply to this model as to the E5510. 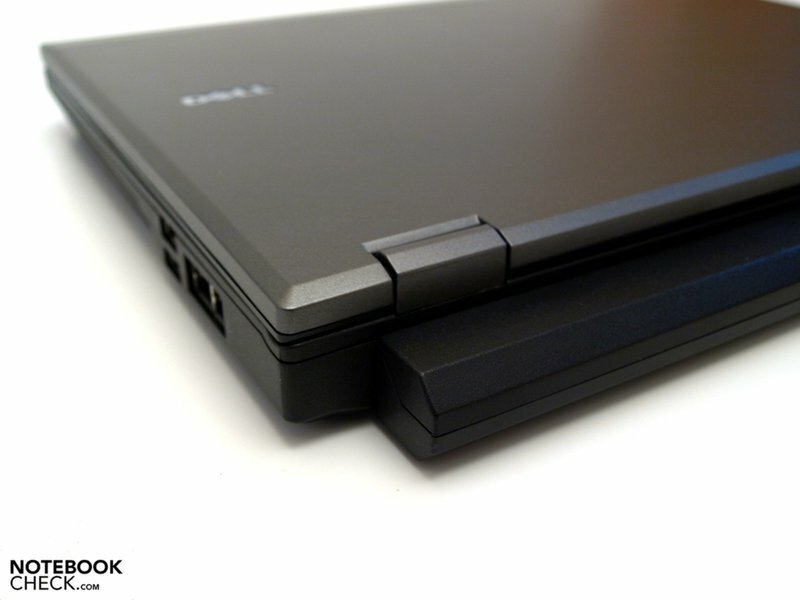 As it belongs on a business laptop, the E5410 of course has a docking port on board. Also offered here are various docking solutions such as the Kensington Notebook Universal Dock at around 140 Euros (excl. VAT and shipping), which expands the range of interfaces and also includes a DVI connection. One has to do without a serial connection on the smaller E5410. But the RJ-11 interface has been moved to the right side of the case, and the RJ-45 and the two USB interfaces on the right side have changed places. 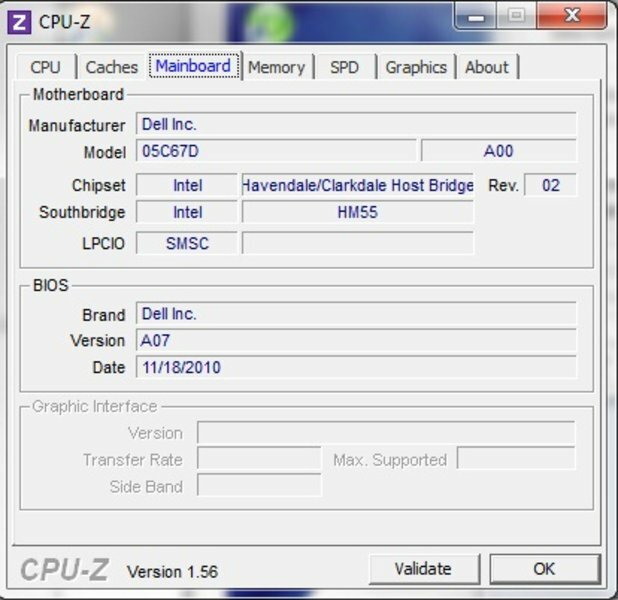 Otherwise, the interface equipment is the same as that on the E5510. Also on the E410, the positioning of the individual interfaces is generally well thought-out. 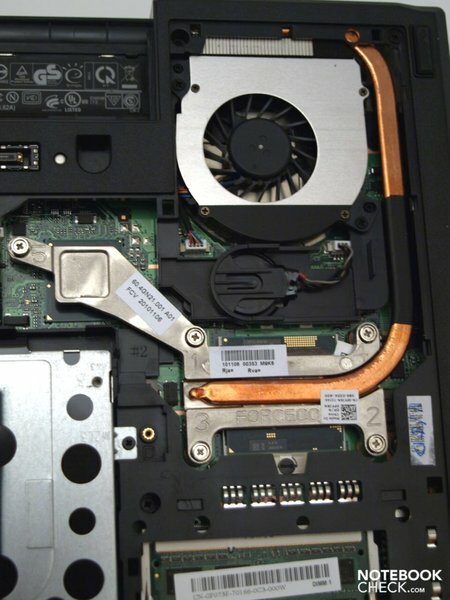 However, due to the tight space between the USB-ports and to the neighboring interfaces, one should make sure to use slimmer USB-connectors. The communication equipment is essentially the same as on the E5510. 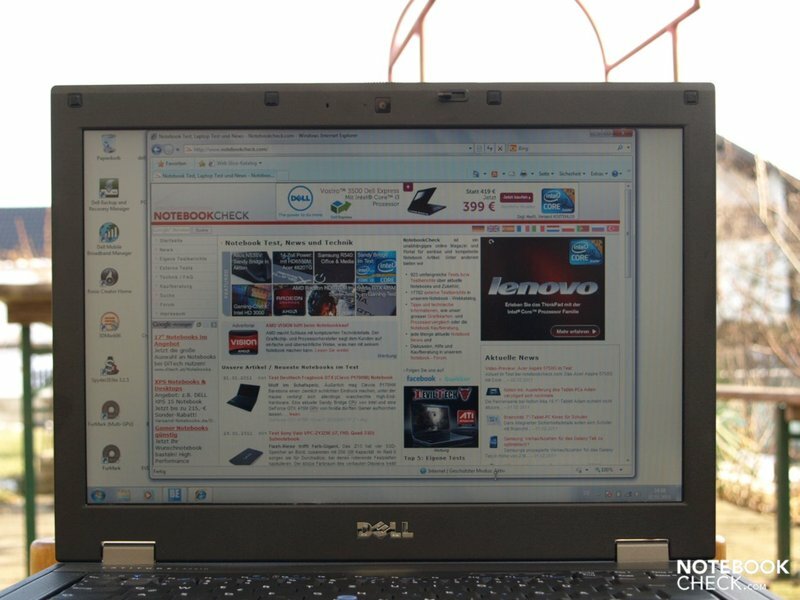 On board are a Broadcom NetXtreme BCM5751e PCI-E gigabyte Ethernet controller (10Mbyte), an Intel Centrino Ultimate-N 6300 AGN (agn) WLAN module (which also supports Standard-n) as well as the same Dell Wireless 375 Bluetooth module with AMP Bluetooth. 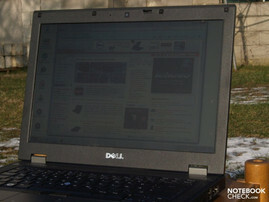 The user can also be happy about the optional Dell Wireless 5540 HSPA Mini-Card modem for mobile broadband communication. Dell also thought to add a RJ-11 modem interface. Like on the E5510, the integrated webcam in the upper display frame means that one is well equipped for video-conferencing while on-the-move. There’s nothing to add to the report of the E5510 in terms of security, accessories and guarantee and we can therefore refer you back to that model. 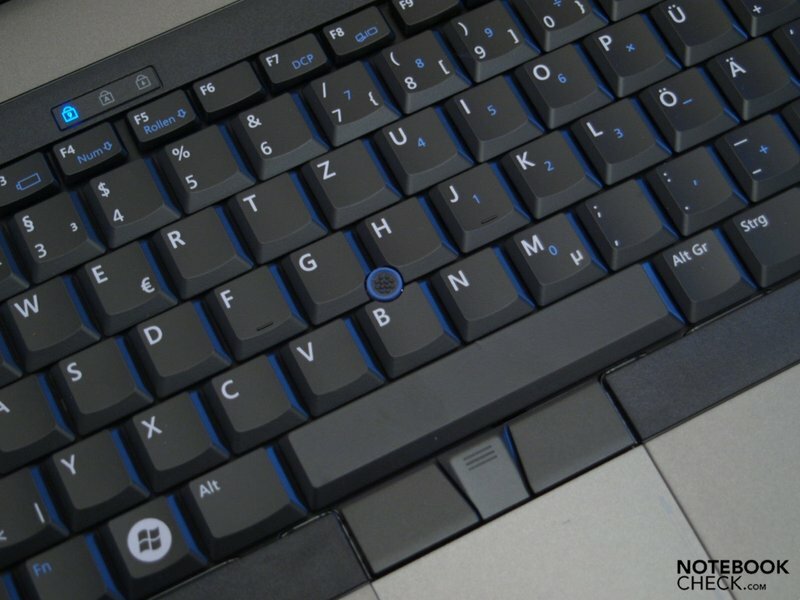 The E5410 offers the same input devices as on the E5510. However, the two loudspeakers to the left and right of the keyboard had to be shrunken. 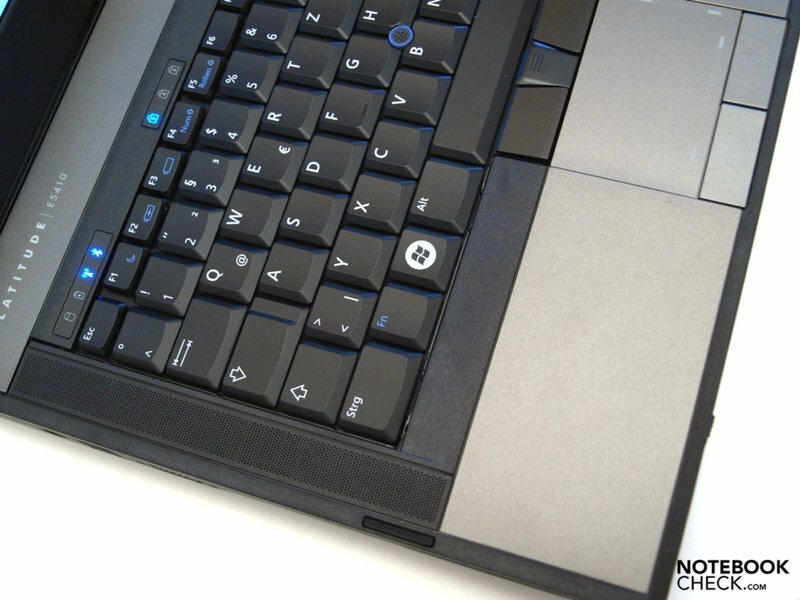 More information on the keyboard, touchpad and track point can be found in the E5510-review. 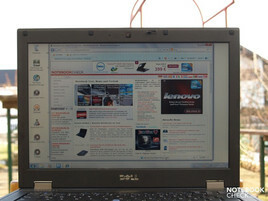 Like with the E5510, the buyer can choose between models with two different resolutions. 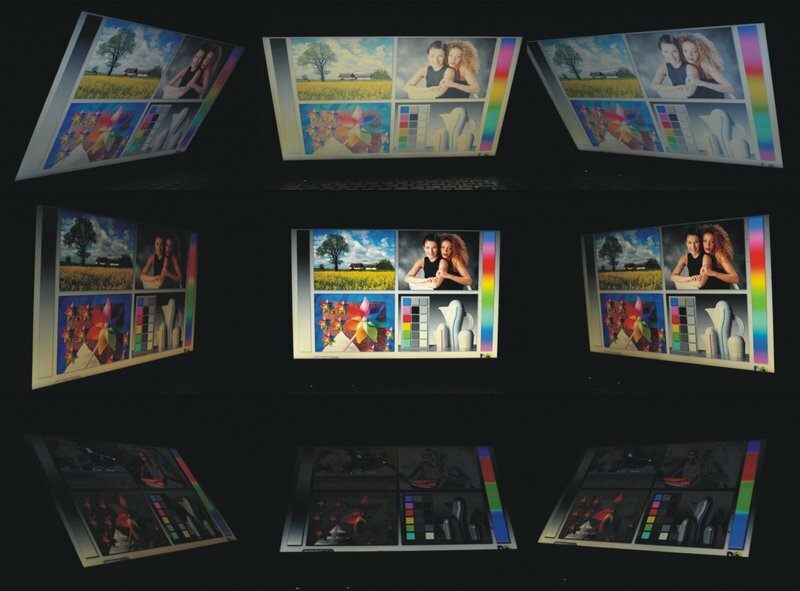 In any case a LED display in a 16:10 format is on offer, while the E5510 is equipped with a display in the 16:9 format. The panel is available either in the WXGA resolution of 1280x800 pixels or in the WXGA+ resolution of 1440x900 pixels. One can go for one or the other variant depending on their individual needs for a display overview. Our E5410 tester features the top-end WXGA+ display. 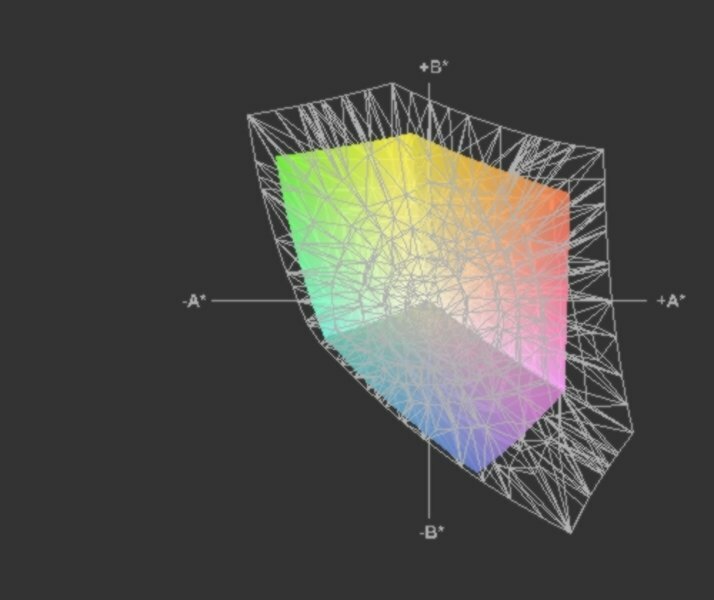 Of course all the display variants are given an anti-glare treatment in order to fit well into VDU workstations. 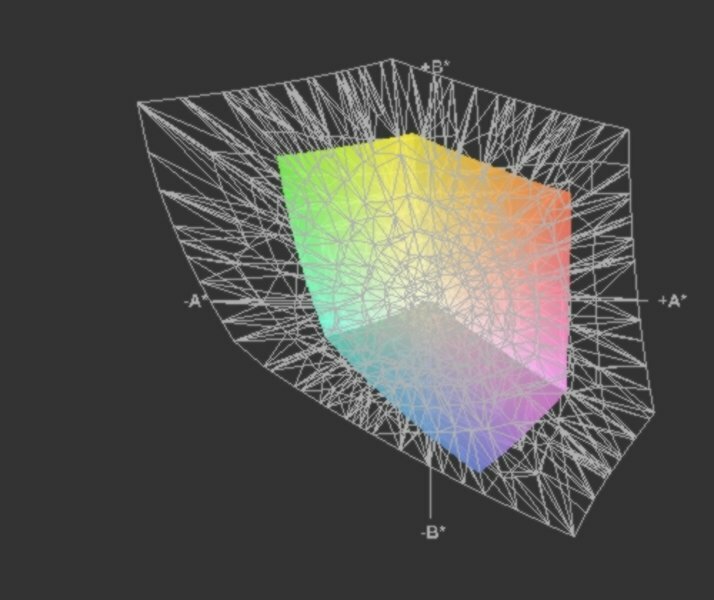 As can be seen from the ICC-comparison graphics, the E5410 offers a standard color space, just the same as its big brother (Review of the E5510). AdobeRBG1998 aren’t covered by a long short, and it also doesn’t completely live up to sRGB. According to our measurements, the tester scores with a good maximum brightness of 267 cd/m² and a good average value of 240.3 cd/m². Overall that makes it a smidge brighter than the E5510. It is also evenly illuminated at 82%. On the other hand the tester falls behind the E5510 in terms of contrast values with a high level of black of 1.78 cd/m². 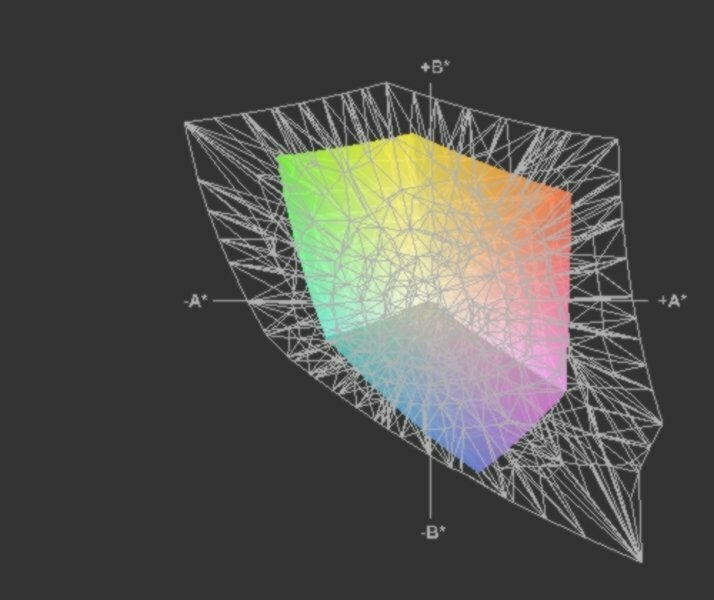 While the E5510 scores well with a level of black of 0.53 and an outstanding contrast value of 462:1, the 14-incher achieves a much lower contrast ratio of only 182:1. Black thus seems more greyish, although this doesn’t really represent a hindrance for its intended office use. 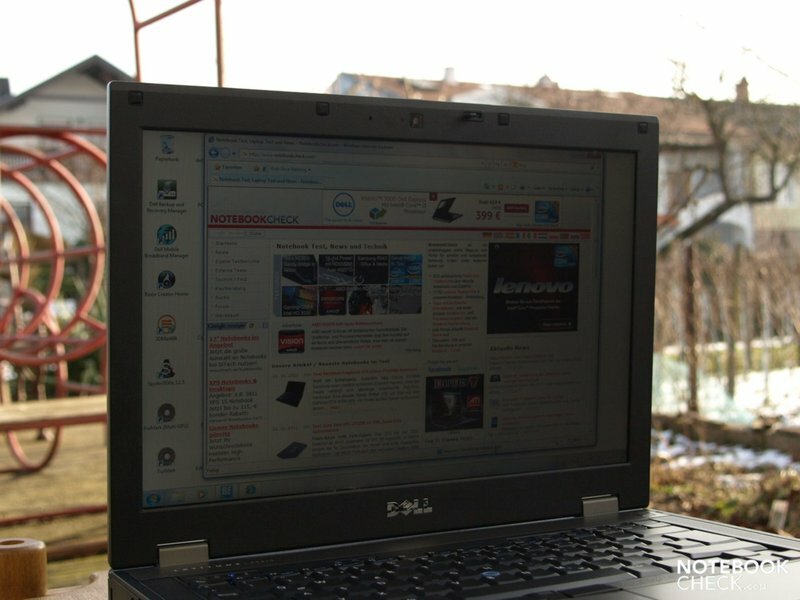 Like already witnessed with the E5510, this model proves the strengths of its display when used outdoors thanks to its anti-glare surface and a good level of brightness. There picture remains completely legible in the shade or under overcast winter weather conditions. The picture even remains legible under direct sunlight, though a bit more brightness from the display wouldn’t hurt here. 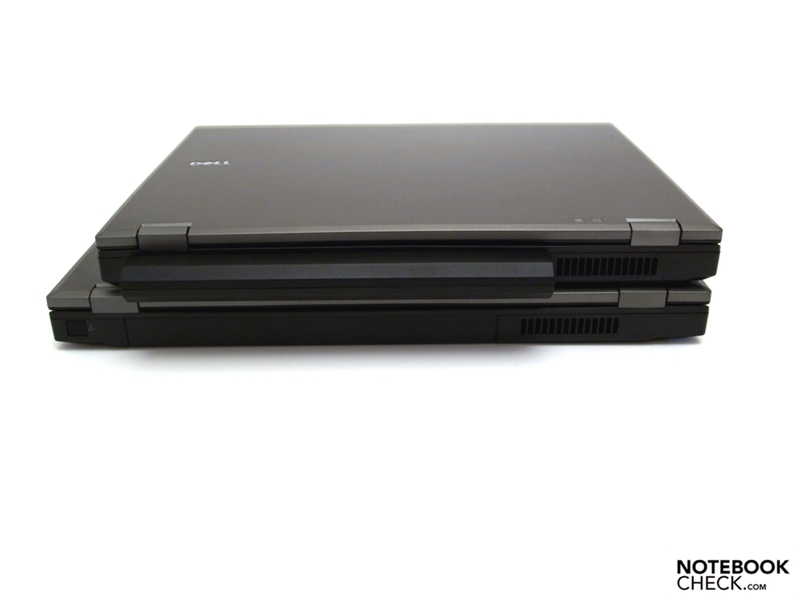 The E5410 is not a laudable exception in terms of its viewing angle stability and, like its bigger brother, falls into the mix of office notebooks. Horizontally, it offers a generous working area. But vertically, even small changes from the ideal perpendicular viewing angle lead to a loss on contrasts and overexposure or dimming. 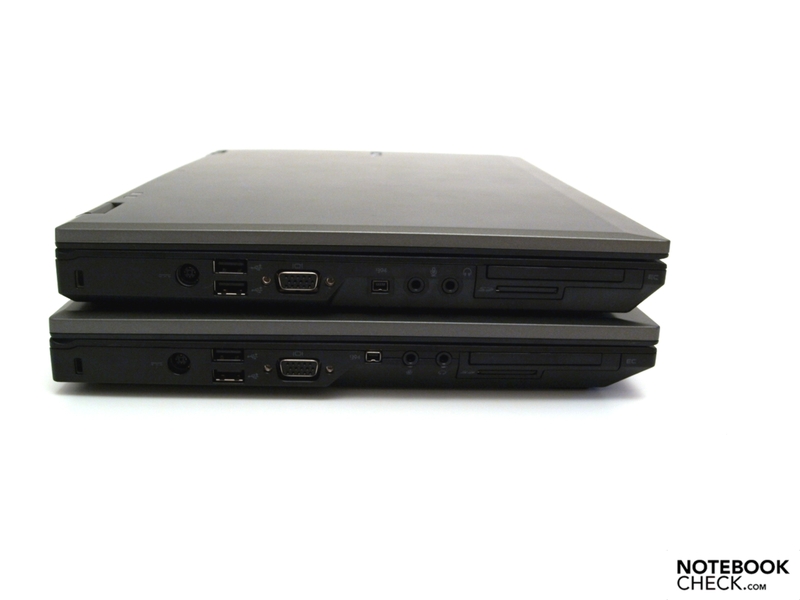 In terms of hardware equipment, the 14 incher is identical to the 15 incher. More details can be found in this review and in special articles about the individual components. To sum up: The E5410 is based on the HM55 chipset. 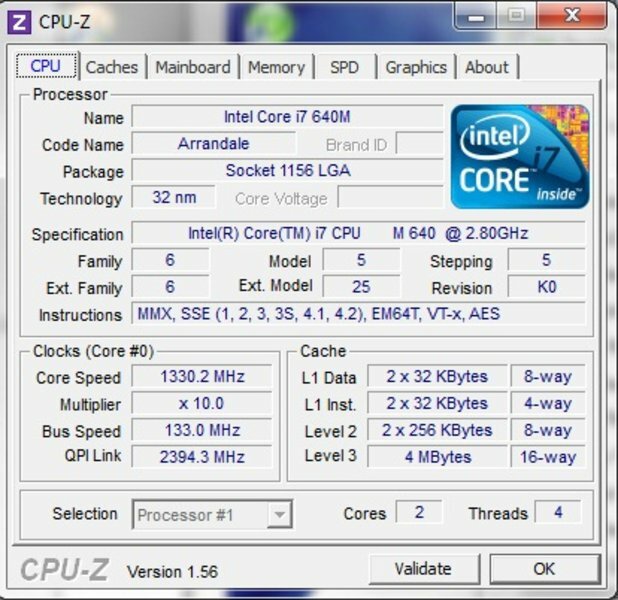 A fast Core i7 640M dual-core CPU provides the required computing power. The processor has 4 gigabytes of RAM at its disposal, but this is unfortunately in combination with a 32-bit operating system. 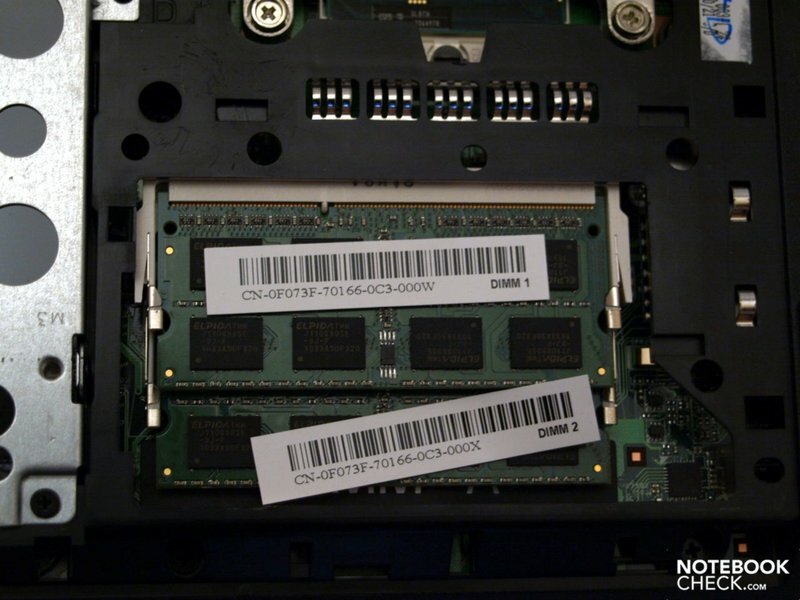 Graphics demands are addressed solely by the GMA HD graphics chip integrated into the processor. 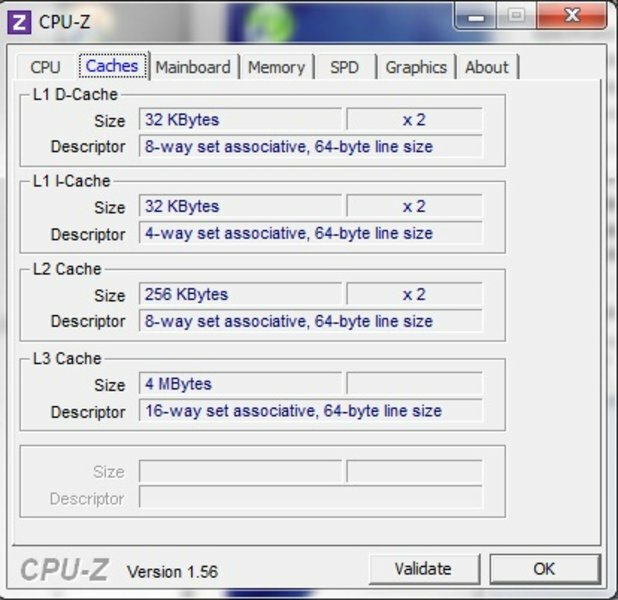 Its main task is to support the processor when decoding HD videos. It's hardly a surprise that apart from some negligible differences, both E5x10 models produced similar benchmark results. 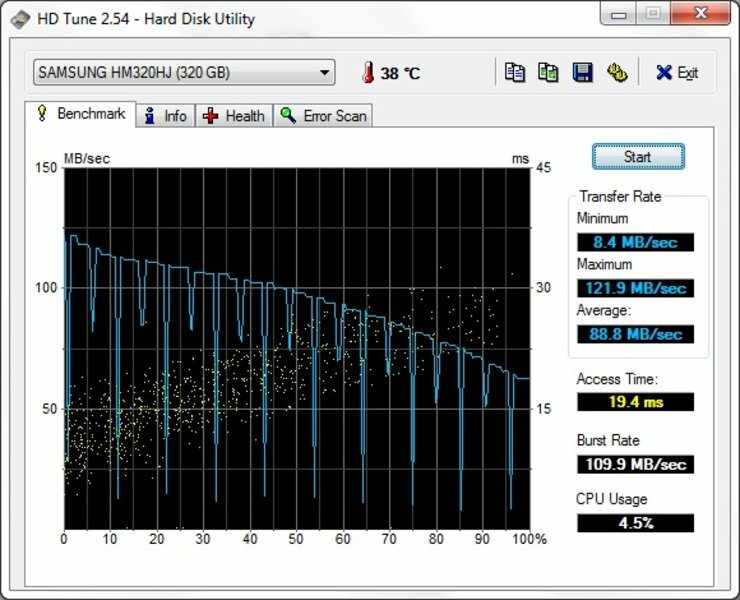 In terms of application performance, the tester scores big due among other things to its fast harddrive, and it achieved 6235 points in the PCMarkVantage Test. 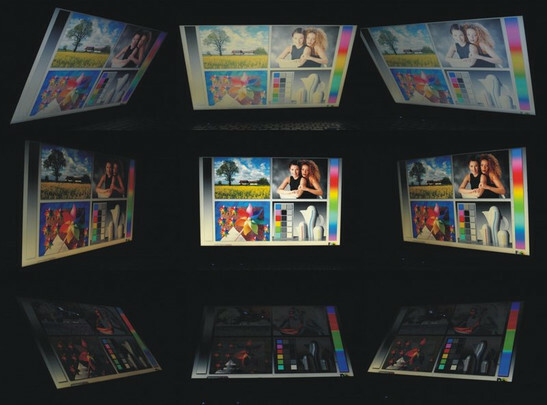 Graphics performance was different: With an integrated GMA HD graphics chip, it's clear from the outset that great 3D-performance is not to be expected. With 1751 points in the 3DMark06 and 2151 points in the Cinebench Shading Test, the candidate under review achieved values typical for this graphics chip. 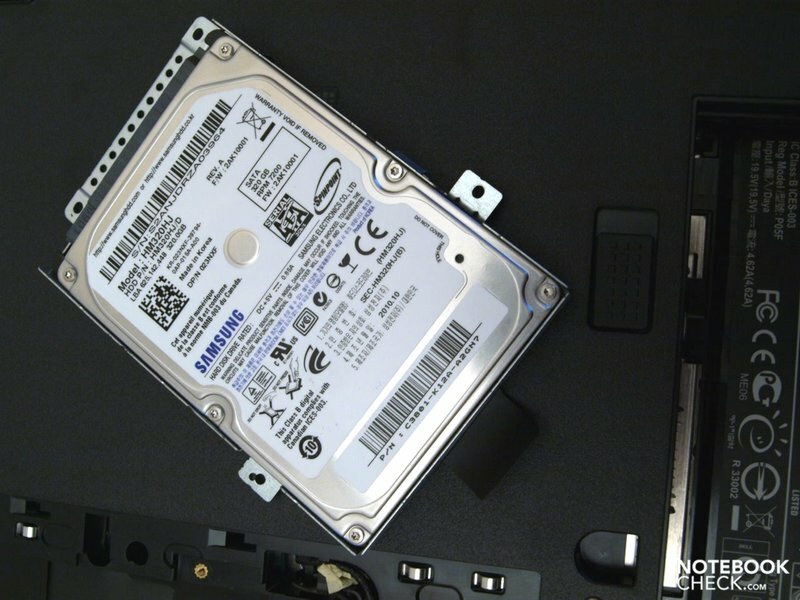 Both of the E5x10 testers use the same mass memory equipment: for one there is a conventional Samsung HM310HJ harddrive with 320 gigabytes of gross capacity, and for another, there is a TSSTcorp DVD+RW TS-L633C as an optical drive. 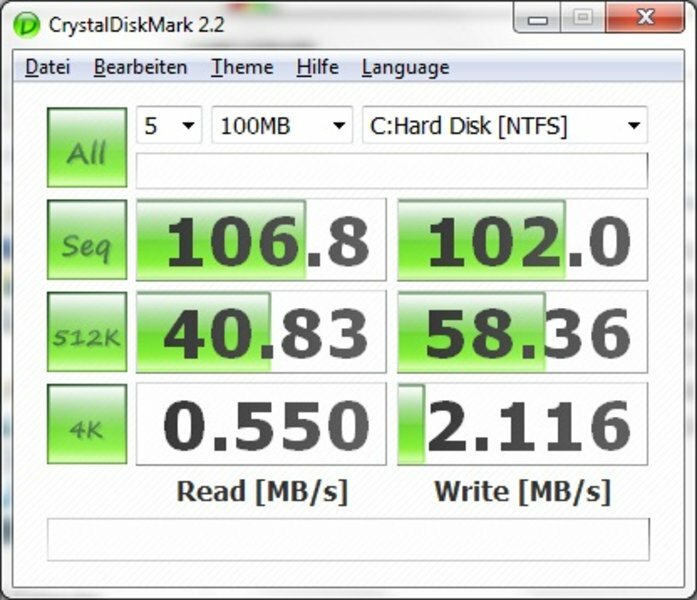 The values achieved in the CrystalDiskMark and in the HDTune Benchmark are therefore on the same level as the E5510. 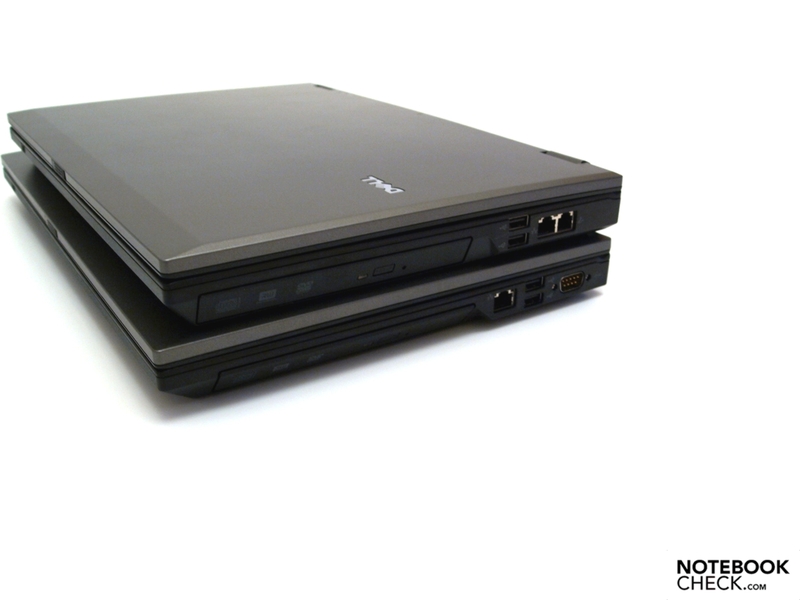 The smaller E5410 also hardly differs here from its bigger brother. While in low-load operation, the most annoying characteristic was the vibration of the 7200 rpm harddrive, which is clearly audible when engaged at 37.8 dB(A). 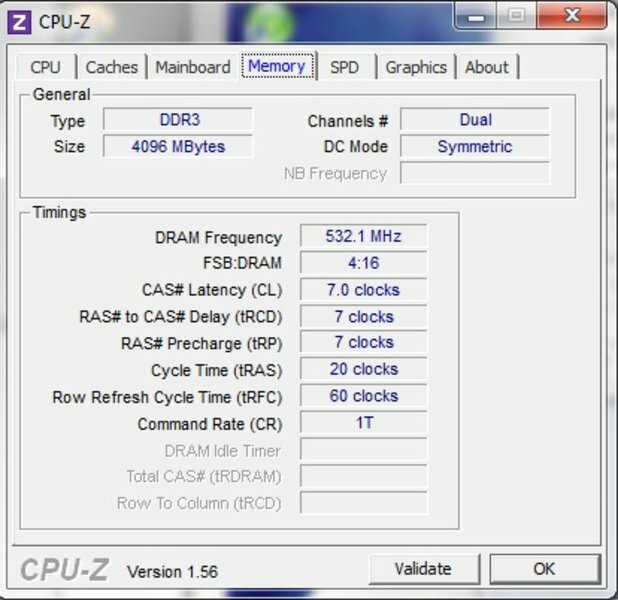 There also are practically no differences under load when compared to the E5510. 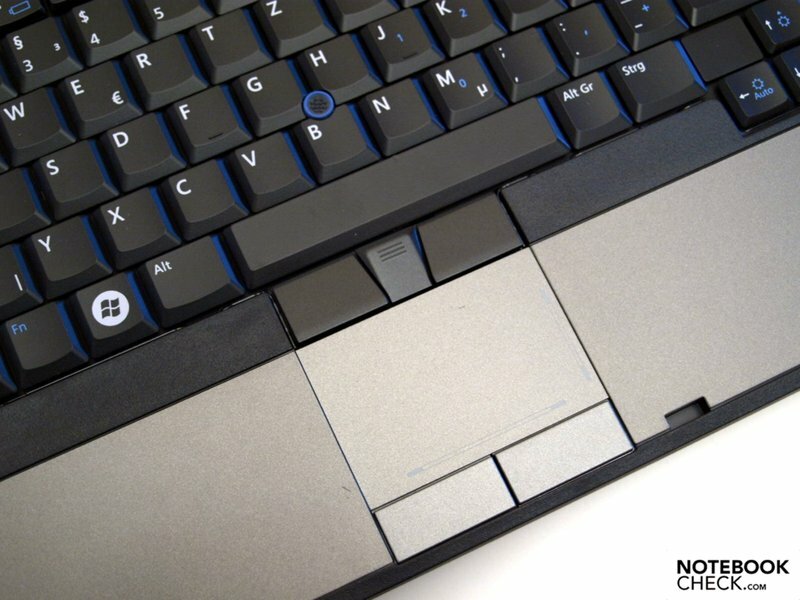 The control elements, keyboard, palm rests and touchpad remain pleasantly cool when not under load, but the right underside also exceeds body temperatures on the E5410. In the worst-case scenario, ex. 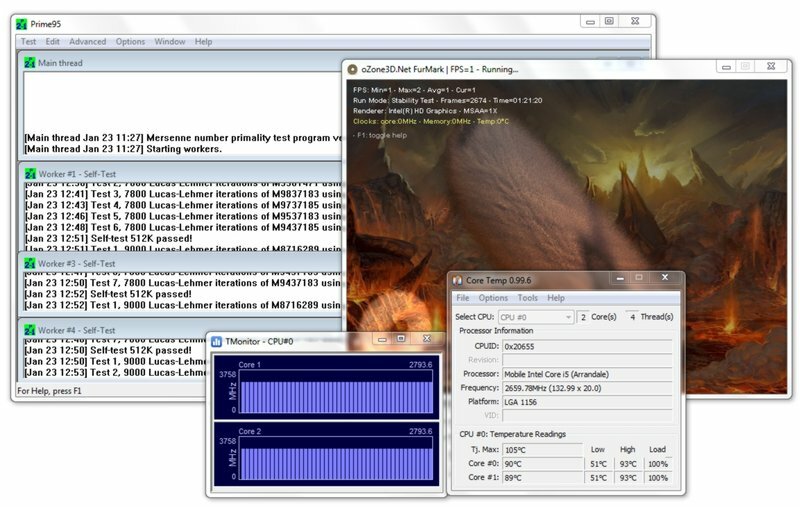 after multiple hours of 100% load on the CPU and GPU, the temperature of the processor cores rises up to 90 degrees Celsius. In this case, we measured maximum values of over 50 degrees Celsius and over 40 degrees Celsius on the upper-side. But this test gives us the maximum expected emissions. 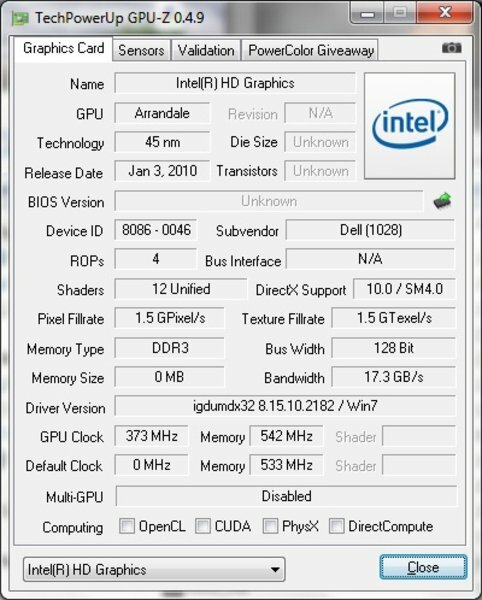 Even when playing 3D-heavy games, which isn't the intended purpose of the E5410 anyway considering its limited graphics performance, both the noise and the temperature remain under these values. For low-demanding office-operation one can refer more to the temperatures achieved at idle. (-) The average temperature for the upper side under maximal load is 38.4 °C / 101 F, compared to the average of 29.4 °C / 85 F for the devices in the class Office. (±) The maximum temperature on the upper side is 41.9 °C / 107 F, compared to the average of 33.9 °C / 93 F, ranging from 21.2 to 62.5 °C for the class Office. (±) In idle usage, the average temperature for the upper side is 32.8 °C / 91 F, compared to the device average of 29.4 °C / 85 F.
(-) The average temperature of the palmrest area of similar devices was 28.2 °C / 82.8 F (-12.2 °C / -21.9 F). Here the same holds true as was the case for the E5510. 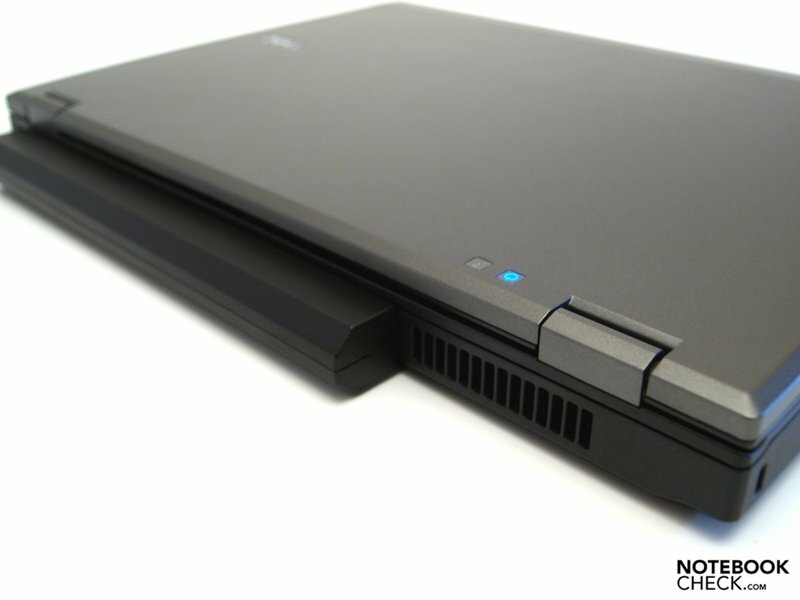 The sound is not all that bad for an office notebook, but it is - as expected - lacking in bass. The fact that both speaker grills to the left and right of the keyboard have been made slimmer doesn't seem to have had any audible effect. Compared to the E5510 being reviewed concurrently, the user of our E5410 tester will be pleased by even longer battery runtimes. This is thanks not only to the larger 9-cell battery with 85 watt hours, but also to the smaller display. 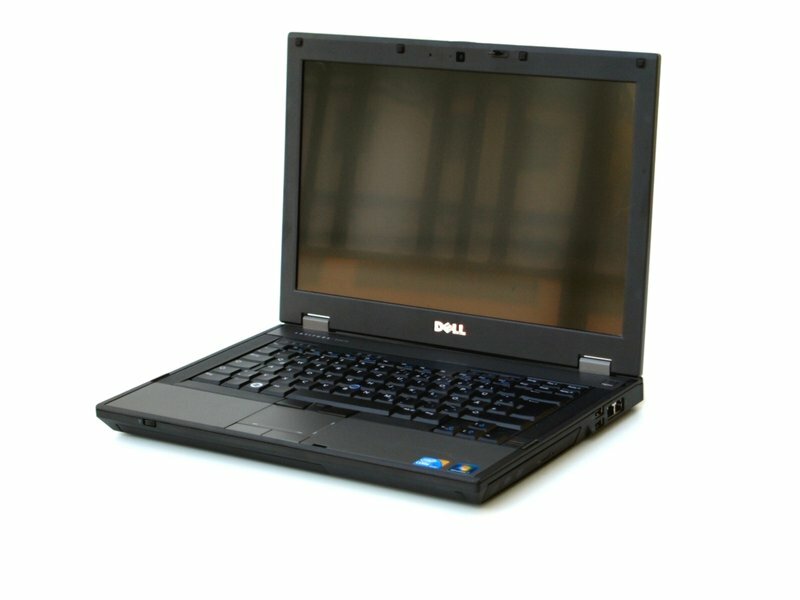 As an option, Dell also offers a 4-cell battery with only 37 watt hours and a 6-cell battery with 56 watt hours of capacity for the E5410. When the components are taxed heavily, as was simulated to us by the BatteryEater Classic Test with a high-performance profile and WiFi modules turned on, just under an hour and fortyfive minutes are possible. Under very limited conditions, ex. without the WiFi modules, with the display on miminimal brightness and on the energy savings profile, texts can be read up to a maximum of 6.5 hours. 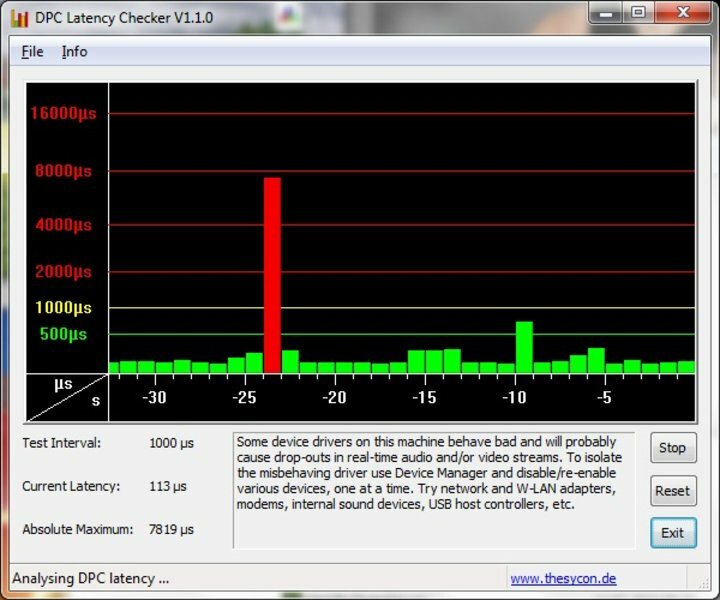 The BatteryEater Reader's Test showed us here 388 minutes. 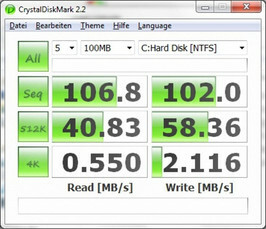 Research via WLAN, with good brightness and on the energy savings profile ends after around five hours on battery power. The film viewing experience with a "balanced" profile and WiFi modules deactivated ends after around four and a quarter hours. 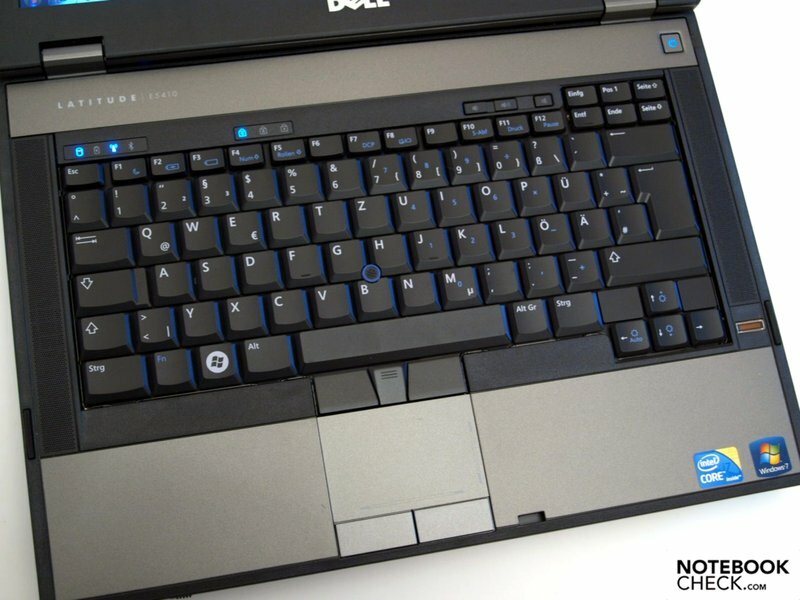 Like its larger pedant, the E5510, the Latitude E410 from Dell proves itself to be a well-designed and thought-out office laptop. But thanks its smaller form factor, larger battery and optional broadband module, it even trumps its bigger brother in terms of mobility. Along with that is of course again a matte display with good brightness, which is on the one hand more evenly illuminated than on the 15-incher, but on the other, offers weaker contrast values. 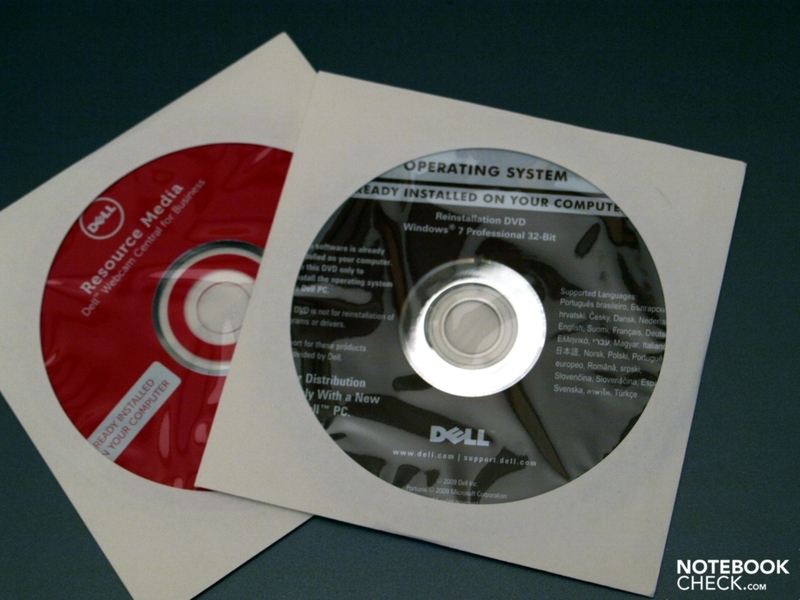 Thus there is nothing standing in the way of using it outdoors or for extended periods at VDU workstations. Both models with the same hardware equipment are the same in terms of application performance and emissions. 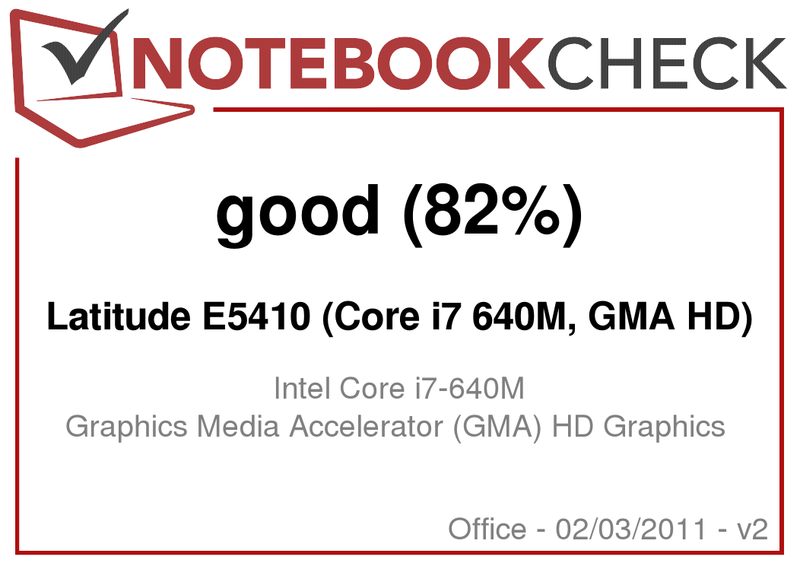 Here the 14-incher achieved a good rating for its application performance, while the graphics performance of the GMA HD graphics chip is essentially geared toward supporting the CPU when decoding videos. 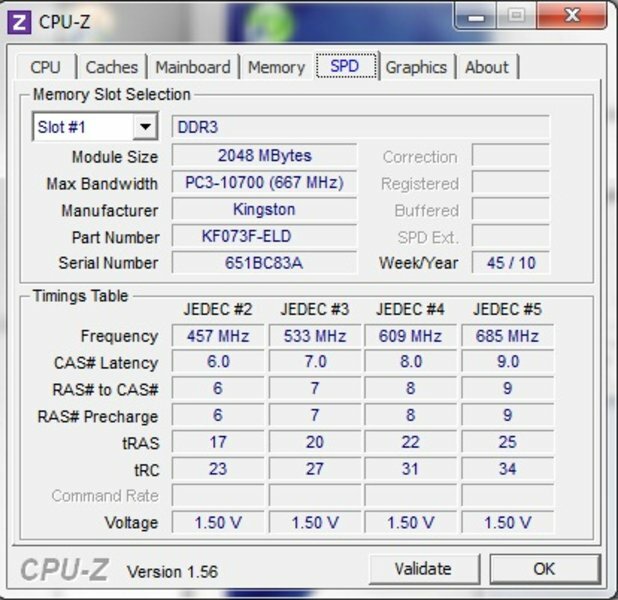 It should also be noted that the available memory would be used more efficiently with a 64-Bit operating system than it is with a 32-Bit version. 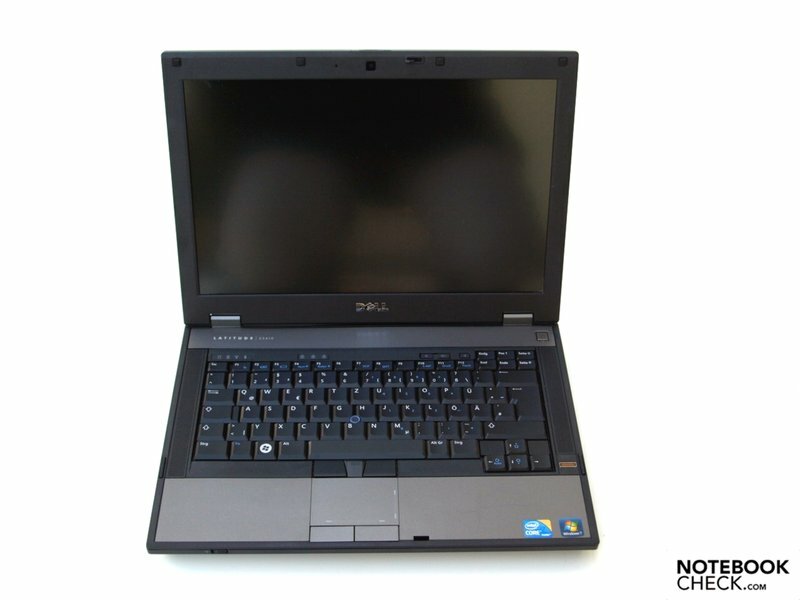 In short: For those looking for a mobile laptop for long-term professional use with office- and Internet applications, the E5410 provides them with a solid device with a neutral design. hat an expensive Core i7 processor is in place. Its i5-colleague would also be more than enough for most applications.